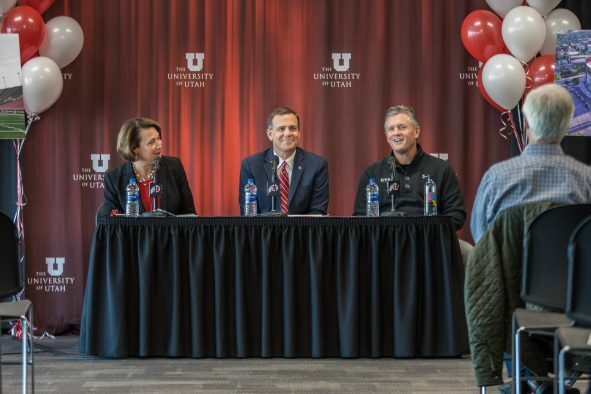 The University of Utah today announced plans to expand Rice-Eccles Stadium after its Board of Trustees approved a request to pursue bonding. The stadium renovation, which is conditional on financing approval, should be completed prior to the kickoff of the 2021 football season. The board approved the project at its meeting on Nov. 13. A 2017 feasibility study, which surveyed ticket purchasers, athletic donors, alumni and fans, demonstrated strong community support and a market demand for the expansion. Construction costs will be covered primarily through fundraising, sponsorships and revenues generated by new premium seating areas. No state or taxpayer dollars will be used in the project. The estimated $80 million expansion will involve demolishing and rebuilding the south end zone, which was built in 1982 and was the only piece of old Rice Stadium retained when the current stadium opened on the same grounds in 1998. Plans call for enclosing the bowl by connecting the east and west concourses on the south end, increasing audience capacity from 45,807 to 51,444. Aerial view of the proposed stadium expansion. The U football team has played in front of 56straight sellout crowds in Rice-Eccles Stadium, dating back to its 2010 season opener. 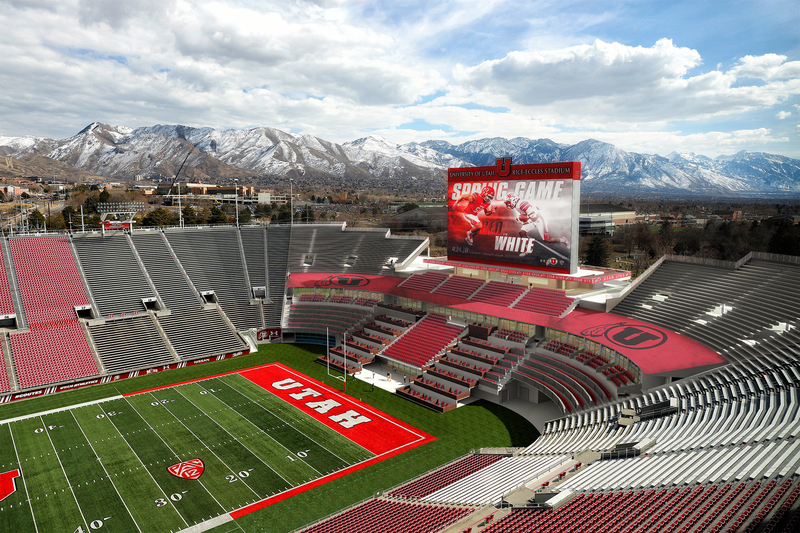 The season ticket waiting list includes nearly 3,000 people, and the Utah ticket office has received more than 1,000 requests from current season ticket holders to add or upgrade seats. Included in the changes is the addition of 1,000 chair or bleacher seats, which will be available for general purchase in the south end zone. All current season ticket holders will have the option to keep their seats. The south end zone project will also enhance the fan experience by adding premium seating in luxury suites and loge boxes, as well as club, ledge and rooftop seating. 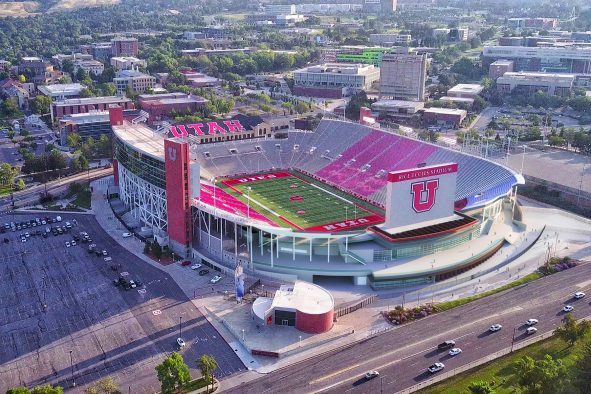 The dilapidated locker and meeting rooms below the current south end zone stands will be replaced with new locker rooms for the home and visiting teams, rooms for coaches and officials and rooms for athletic training, equipment, press operations and the Utah Marching Band. A kitchen, recruiting lounge, field-level club lounge and outdoor patio are also in the plans. Q: What types of seating will be available? The expansion plans include bench seats, chair seats and standing space, as well as premium seating in luxury suites and loge boxes, ledge and rooftop seating. Q: How can I purchase tickets for spaces in the new area? People currently sitting in the south end zone will have priority for purchasing season tickets. For more information on ticketing, visit https://utahtickets.com/football or call the ticket office at 801-581-8849. Q: Why is the university expanding its stadium? The in-depth feasibility study conducted showed a clear market demand for this modest expansion. 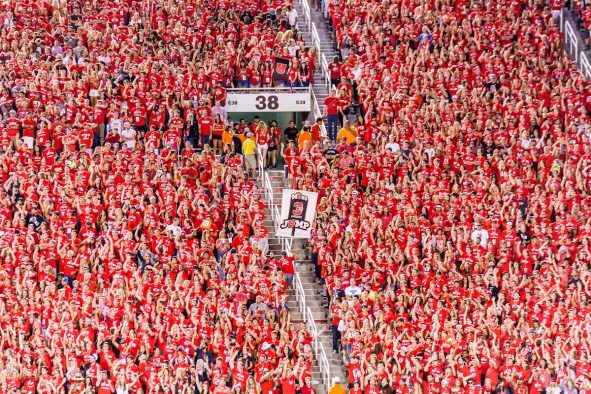 The U’s football team has played in front of 56 straight sellout crowds in Rice-Eccles Stadium, dating back to its 2010 season opener. The season ticket waiting list includes nearly 3,000 people. 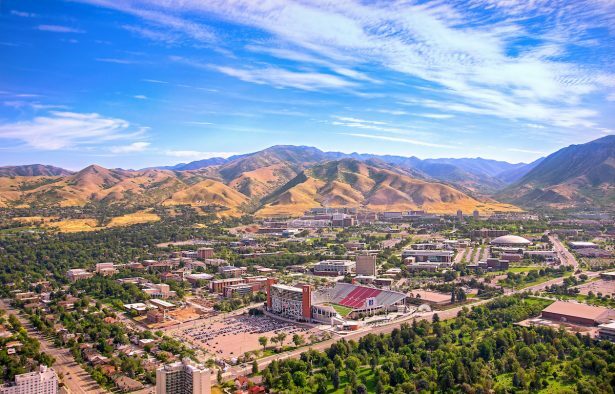 In addition, an average of 450,000 patrons come through the gates of Rice-Eccles Stadium each year. The stadium hosts an average of 150 events each year, and this expansion will continue to help make the venue a popular location for community events. Q: How will this impact sound and traffic in the area? The university is committed to being a good neighbor and will work with the surrounding community to identify and solve issues that arise from the expansion. In recent years, the university has made changes to the stadium’s sound and lighting systems to reduce impact on the surrounding neighborhoods. In addition, the university continues to encourage patrons to use public transit when attending events at the stadium and has arranged for athletic tickets to serve as UTA fare on game days.